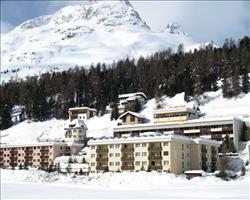 The ultimate guide to St. Moritz ski holidays. 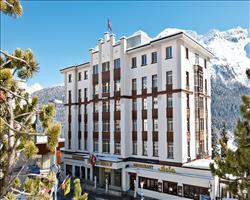 In south-western Switzerland, surrounded by the majestic Upper Engadine valley, sits eternally glamorous St. Moritz. It’s no wonder why – this place is a true sight to behold with lakes, pine forests and soaring 4000m peaks stretching into Italy. All the better for enjoying the views with, the area’s famous for its dry and sunny weather, averaging a glorious 322 days of sunshine a year. Plus, the air’s so clean they call it a ‘champagne climate’. The town's made up of two parts – stylish St Moritz Dorf up on the hillside, with the Chantarella funicular and the majority of restaurants, boutiques and hotels, and St Moritz Bad on the lake, where the Signalbahn gondola sets off from. There's a marvellous mix of architecture, from ancient Engadin houses and chapels to grand Victorian hotels and cutting edge modern builds. Visitors can use the complimentary bus service to get from A to B (it comes with the lift pass). The train ride from Zürich (3h20) is spectacular - in fact the last section on the Bernina Express has been granted UNESCO World Heritage status. The skiing’s some of Switzerland’s best, with around 350km of pistes to explore and 2 high altitude glaciers, allowing for long seasons. There are four sectors covered by the lift pass – Corviglia, the largest, which is directly accessible from the town, then Corvatsch, Diavolezza/Lagalb and Zuoz, which are accessible by car or public transport. Skiing certainly isn’t the only sport on offer here; the resort, which is the birthplace of a number of winter sports, has hosted the winter Olympics twice. Hosting some of our favourite festivities of the ski season, every year a variety of eccentric events take place on the frozen lake, from the White Turf horse races to ice cricket and the Polo World Cup. The resort is also home to the world’s oldest and only remaining natural ice bob track, and the famous ‘Cresta Run’ (which those who manage to bag an invite to the exclusive St Moritz Tobogganing Club can hurtle down…). View our detailed St. Moritz snow forecast or snow report and see all live webcams, piste maps, road and travel maps and lift pass prices. For a picture of historic snow conditions see the snow depths month by month with our St. Moritz snow history. There’s a long history of skiing here; the Swiss Ski School was the first ski school in Switzerland and has been running since 1929. 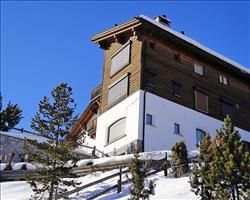 Don’t let the fragmentation of the resort’s four ski areas put you off. Corviglia is big enough to keep many visitors entertained all holiday. It’s accessible by funicular from St. Moritz Dorf, or gondola from St. Moritz Bad, with runs back down to both parts of the town. The other areas tend to be wonderfully quiet even in peak season, thanks to the slight extra effort it takes to get to them. Beginners will find drag lifts up on Corviglia at 2486m, but for total newbies it’s better to visit the nursery slopes in the neighbouring village of Celerina. You can also take the funicular to Chatarella and then walk or take the horse-drawn carriage to the excellent beginner’s area in Salastrains (ideal for families). Up on Corviglia you’ll find a great range of blue and red runs for intermediates (try the long red #25 down to Celerina). If you don’t mind driving or catching the bus to Surlej, there are also some good intermediate routes on the glacier on Corvatsch (red runs #3 and #2), and the high altitude means it’s perfect for late season skiing. The Diavolezza area has glacier skiing too, with a wonderful 10 km descent to Morteratsch - one of the longest runs in Switzerland. Nearby is the Lagalb area - the Giandas red run here is also one of the longest and best in the Engadine. For the adventurous, Corvatsch is also home to Switzerland’s longest night ski slope at 4.2km and the formidable black Hahnensee run. Advanced skiers shouldn’t miss the terrific Olympia black run used in the 1928 and 1948 Olympics in Corviglia. There are some good lines for off-piste from Piz Nair, but the best area for freeriders is either the huge Val Arlas in Diavolezza, or around Zuoz. 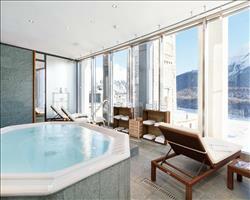 If you fancy splashing out, the resort is very popular for heli-skiing, try ‘The St. Moritz Experience’ company. The area has 3 snow parks, the Corvatsch park, the Zuoz park, and the highly-rated Corviglia park with lots of kickers, rails and boxes, a half-pipe and its own freestyle ski school. The après-ski in St. Moritz is famous the world over for its posh bars and high-profile clientele – anyone wanting to see and be seen can party with royalty at King’s Club till sunrise, or go dancing at the stylish Diamond Club. You can’t deny the air of exclusivity, and there are certainly some members-only clubs (ever heard of the infamous Dracula’s Ghost Rider’s Club?) but that’s not to say anyone seeking a low-key atmosphere will be let down. The Devil's Place is a quirky bar with a record breaking 2500 types of whiskey to sip your way through. There’s also Pavarotti & Friends, which serves cracking Parma ham and cheese platters to accompany drinks. If you’re missing home comforts, head over to Bobby’s English Pub to watch live sport and play pool. The restaurants follow a similar vein, with lots of high-class dining options to choose from, but plenty of local, cosy places too. Foodies will love the mountain-side El Paradiso, named one of 20 best restaurants in the Alps by Vogue. There’s also the Michelin Starred ‘Ecco on Snow’, housed in the Hotel Giardino and for serious culinary celebrations, you can come for the gourmet festival hosted here once a year. For more budget-friendly dining, visit Secondo Grill and Bar which has a nice relaxed atmosphere. After skiing, recharge with some Engadin walnut cake at the legendary Hanselmann's café – a smashing place to stock up on Swiss chocolate too. If a sweet treat won’t cut it as a souvenir, take your gold card to the Via Serlas shopping mile for Gucci, Chanel, Rolex, Cartier... (you get the gist!) in the Dorf’s lovely pedestrian area. 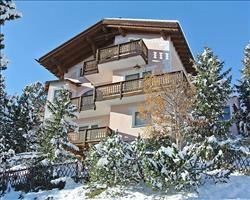 Non-skiers are well catered for, with 150km of winter walking paths. There’s even a whole mountain, Muottas Muragl, reserved for alternative attractions such as snow shoeing, paragliding and an igloo village. In town there are numerous art galleries, an ice rink and the Scala cinema. Don’t miss the local ‘Helibad’ thermal baths where you can pamper yourself with a massage or mud pack. When is the best time to ski St. Moritz? This is an outstanding resort for late season skiing, with some seriously high-altitude runs and not one, but two glacier ski areas. 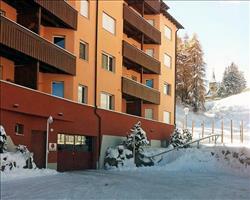 The slopes in the main area, Corviglia, are south-facing and sunny (the area averages 322 days of sunshine a year! ), so they make a good option for the colder days earlier in the season. There are also around 400 snow cannons to supplement the snow if conditions aren’t ideal. 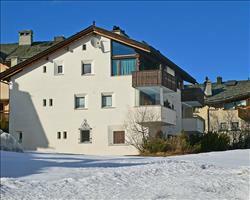 Plus the town itself lies fairly high up, at 1856m, so you can usually ski back to the town all season long. The resort gets busier around the peak times of Easter and New Year, but if you visit the outer-lying areas of Corvatsch, Diavolezza/Lagalb, and Zuoz, you’ll find plenty of quiet pistes. Event-wise, chances are there'll be something happening whatever time of the season you visit. St Moritz is the biggest contributor to the winter social season, hosting all sorts of sporting events on snow (polo, golf, even cricket!). 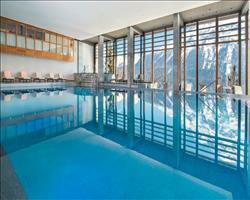 If you're bringing the clan to St Moritz, we’ve got some super family friendly hotels. Our top pick for families has to be Club Med Saint-Moritz Roi Soleil, which has fantastic on-site facilities in a peaceful location over in the relaxed end of town. To experience a part of alpine history, stay at the legendary Hotel Kulm, which is only 5 minutes’ walk from both ski lifts. Many of these hotels will offer childcare, have a playroom and cook up a children’s menu. 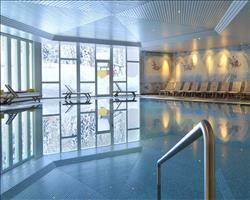 The best ones come with impressive amenities such as swimming pools and saunas – some even have an ice rink! 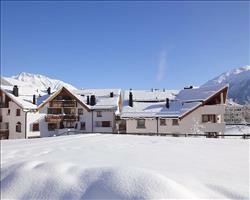 St. Moritz makes an excellent destination for a fun-filled family holiday. With so many activities on offer, there's next to no chance of anyone getting bored. Besides oodles of brilliant skiing, you can go sledging on specially prepared toboggan runs, ice skate at the local Ludains rink, enjoy a winter walk on some of the 150km of cleared footpaths, or learn about the history of the area at the Engadiner Museum. 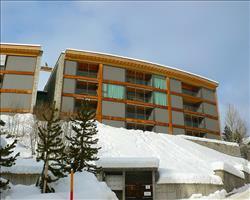 Non-skiers will love Muottas Muragl, a whole mountain set aside for activities other than skiing such as snow shoeing. You can also visit the igloo village (and those after something a bit different can choose to stay the night). With not one but four ski areas, whether you're a brood of beginners or seasoned skiers, there's plenty to enjoy. The main area, Corviglia is directly accessible from the resort, and on the fringes of this area, close to St. Moitz Bad, is Salastrains. There's an excellent children’s play area here, with a ski school and kindergarten. You'll find some nursery slopes up on Corviglia too, but many families prefer to travel a bit further afield to the quieter areas of Corvatsch, Diavolezza/Lagalb, and Zuoz. Corvatsch in particular has some nice little drag lifts at the bottom of the mountain. There’s a good mix of blue, red and black runs to keep intermediate and advanced family members busy too. Teenagers will enjoy the exceptional Corviglia snow park, and there are two more over in Corvatsch and Zuoz. Book your holiday now by calling one of our friendly advisors. We'll help you along every step of the way, and can suggest various package deals so that you save on flights and transfers as well as accommodation. If you’re driving over, make sure to ask us about our self-drive holidays, or if you’ve arranged your own transpor, opt for an accommodation only deal. We’ve got some unbeatable promotions and discounts for the budget conscious so don’t forget to ask us about that too – you can save hundreds! 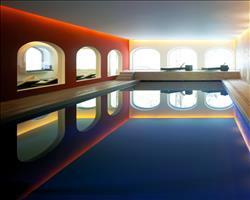 Our stylish hotels are ideal for group trips to St. Moritz. They mostly have their own bar and restaurant area (many have cosy lounges with fireplaces too), so you have a cracking communal spot for everyone to meet up together. The best thing about hotels is you still get the privacy of your own room, so anyone exhausted after a long day on the slopes can get some alone time. For group bookings have a look at the Hotel Steffani, which is in an excellent location in the middle of town – perfect for you all to head out together for some après-ski drinks at nearby King’s Club or the fashionable Vivai bar. For convenience and brilliant facilities, stay at the Club Med Saint-Moritz Roi Soleil, which is in a more peaceful spot down in St. Moritz Bad. Our luxury hotels are surprisingly affordable, especially if you take advantage of our discounts and package deals, and of course if you’re in St. Moritz, you might as well stay somewhere that fits the up-market style of the town... Our 5 and 4 star hotels come with their own exclusive facilities, such as wellness centres with spa facilities, saunas and steam rooms - great for relaxing tired muscles after skiing! Many also offer their own childcare if you are travelling with children. Call our friendly team now and we can help you organise your group booking today. If you need some advice on where to stay or about the resort we’re here to help, so don’t hesitate to drop us a line. You can also look through our resort information and read about our excellent deals online, including our great value package holidays with inclusive flights and transfers, and our self-drive holidays. Independent travellers should ask us about our accommodation only deals. To browse online, use the search above and make sure you keep an eye out for our discounts and freebies, there could be some huge savings to be had!